fragile (permit me to use that word). If you are new to Android, please read this guides here. install CWM recovery on your Infinix hot note pro. It is easy and simple. problem, don’t hesitate to use the comment box to ask your question. It's ok so long you are able to successfully install the cwm. 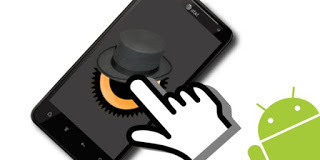 I have installed the cwm you posted here for hot note pro and i booted into recovery, from there i clicked reboot now. i moved over to rom manager to back up my ROM and it always bring up a msg that error while downloading from server, that i should ensure am connected to internet and that my sd card has some free space and its connected, i use 32GB Class 10 sd card and i use office wifi, pls whats the next step? You mean infinix Zero 2 x509? Ah! By the way, how did you got it bricked? Pls How do I back up my stock recovery?? I wanna back it up before flashing the CWM! Pls help! Please help with infinix hot x507 stock recovery. Thanks. If you haven't install the cwm recovery on your device, you can create the stock recovery for your device, but if you have, then you'll need to look for someone who haven't done that with same device. When I lay my hands on the stock recovery for your kind of device, I'll let your know. pls prof how to upgrade to lolipop am using a chinese tablet pc made by alps. Really don't understand anything about this. pls teach me. What's d spec of the tab and d chipset? Pls Prof, I want to do CWM on my tecno p5 without pc but am using new tecno p5 that start up with blue logo. Pls I need recovery image that will not brick my phone and I need easy steps to do it with mobile uncle. Please can you teach us how to make a recovery. img. I have searched all over the Internet for cwm recovery.img for tecno y3 all to no avail. Thanks in advance. You only need patience in following… not confusing at all. You can only do it like the hot note pro if you have someone who already has ur device recovery.img. Do you mean you want to sub for the service or opt out of the service? So i jst need guidelines how to go about it…..
Prof, what of tecno j7 own. Thanks. You can use the link above u to create ur own recovery for ur device. Buh cnt i download d recovery img my self? Did d cwm recovery installed on ur device? Pls sir how do I move the downloaded cmw recover into the root of the SD card. With the aid of recovery, you can easily back up your rom should in case anything happen, you can install custom rom etc. If your phone paradventure get bricked and you don't have recovery install on your device, it will be difficult to restore it back to normal. Thesame way you distinguish between music on our memory card and your phone memory. the most important thing is to get the cwm recovery install on your device. Prof, where can i download tecno j7 cwm recovery image. Thanks. Prof, i have undergone the process in the link, it was telling me that the tecno j7 cwm recovery image has not yet released officially. Please help me out. Thanks. Pls prof. Where can i download Phantom z stock rom. Yomi. I have an mtk backup of the infinix Zero 2 stock rom, and I've created an SP flash able rom, however, I've been unable to create a cwm recovery for the phone. I have tried several versions of magic create tools without luck. Pls do you have any pointers or suggestions for me as to how I can achieve this? It simply means u install r7 cwm instead of f7 recovery img? Both of dem are not thesame so they can't have same recovery image. Have u tried combination of volume up and down? Wen u connect ur charger does it still charge? Hello prof pls give me ur number or u WhatsApp me on 07032830655.please I beg u.